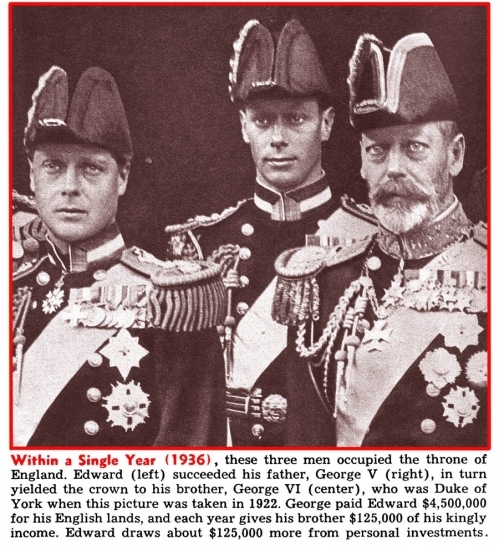 This is a very juicy, action-packed article written in the immediate aftermath of the abdication of Edward VIII. The journalist detailed how the whole affair evolved at 10 Downing Street and in the parliament; the reaction across the empire. 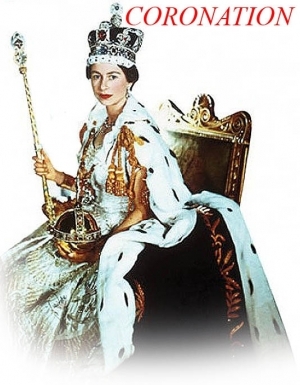 The writer also endeavored to introduce the readers to the two unknown heirs: George VI (1895 � 1952) and Elizabeth II (b. 1926). "Thus the ruler of the world's greatest empire joined the shabby band of ex-kings - the wood-chopper of Doorn, Germany's forgotten All Highest; Alfonso of Spain, who roams the Continent looking for pleasure; Ferdinand of Bulgaria, an old man doddering over his stamps; Prajadhipok of Siam, Haile Selassie of Ethiopia, Abdel Medjik of Turkey, and Amanullah of Afghanistan." At the end of the day, history will remember him simply as one of the most henpecked husband. "The true story of the Duke and Duchess of Windsor cannot be told without clarifying one point right at the beginning: there was only one man who forced Edward VIII off the throne: himself. Yet millions have been led to believe that Prime Minister and Primate got together with the peers and, with the help of the British press, compelled the King to abandon his hereditary trust." An eyewitness account of the Windsors on their visit through Germany in 1937. The journalist reported that the two seemed nervous - reluctant to sign guest ledgers or photographed with Nazi leaders (except with Hitler, they seem very pleased in that photo). "Edward literally thumbed his royal nose at the Royal Marriage Act, ignored a legal waiting period and was wed by an unfrocked minister". Mention is also made of the two known adulterous liaisons that took place during Mrs Simpson's second marriage. "The Duke of Windsor is now 59. He has arrived at that age when a man begins to weigh his life and all that he has done with it...What can he remember? That having come to the throne the most beloved of all princes, the darling of a nation that would have followed him through hell-fire; he threw away the tiresome restraints of kingship, to gain what?" "It is both sad and amusing to see a former King of England reduced by the woman he loves to a 'Little Man', to the rank of a meek husband. What should one do, laugh or cry, when one looks at the ex-Caesar in the role of handbag-carrier, a sort of walking ornament..."